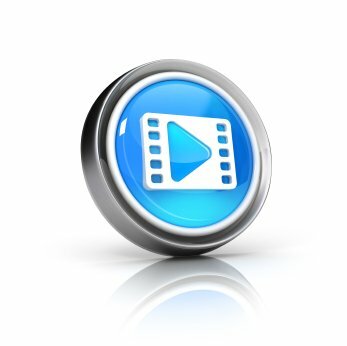 You can define the inventory organization calendar or the workday calendar in both Oracle Inventory and Oracle Bills of Material. When you set out to define an inventory organization Oracle asks you to assign a workday calendar to that org. Organization parameters cannot be saved without a workday calendar. In a workday calendar you specify which days are worked within your organization and which shifts are available to be worked. The workday calendar is also referred to as the manufacturing calendar or simply the inventory calendar. However, the workday calendar is separate from the Oracle General Ledger calendar. 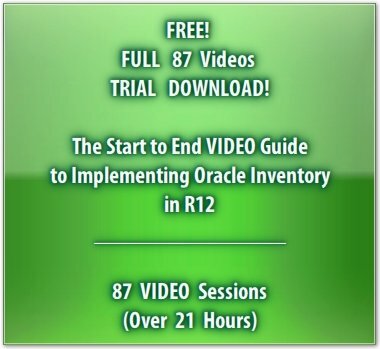 When you define the inventory organization calendar Oracle Inventory assumes a workday pattern that includes all days, between the start and end dates of the calendar. 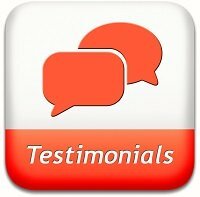 The usual practice is to define a workday pattern of 5 days on and 2 days off for a 5 day working week. There can however, be exceptions and Oracle is well-equipped to handle these as we shall shortly see. 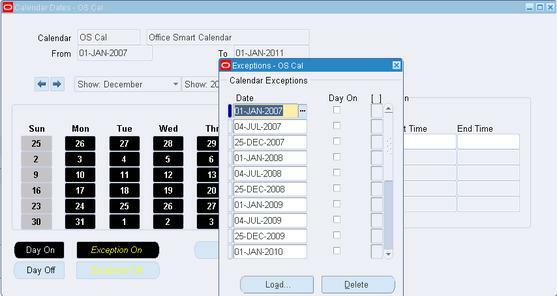 To keep track of exception days, you can enter them manually as you create your calendar. Or you can associate an exception template to your workday calendar. Exception templates list the holidays that affect the manufacturing organization. You can create a different exception template for shifts that have different exception dates. 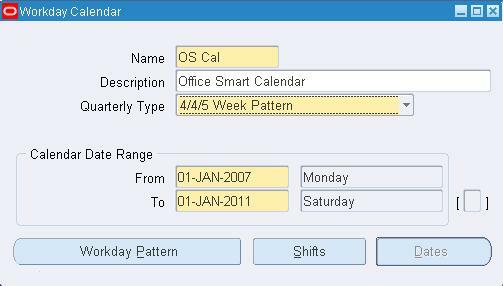 The consultants at Office Smart Solutions (OSS) have designed an exception template that accounts for 3 holidays (to begin with) – January 1, July 4 and December 25 for the years 2007 through 2010. They will load this Exception template in the Calendar when they create it in the next step. 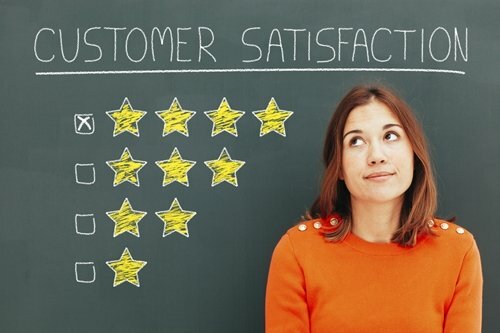 Since the management at OSS has decided to use Oracle applications for Inventory forecasting, reorder-point planning, available-to-promise analysis, and cycle counting they must define their workday calendar. 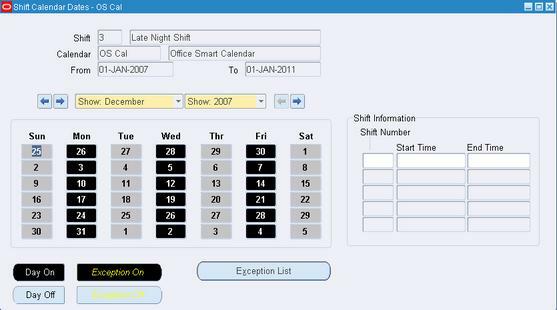 And then they also know that without a workday calendar, they cannot define their inventory organization parameters. The OSS consultants defined a calendar – OS Cal. They defined 3 shifts to reflect the work schedule at OSS. This happens when the Shift Timing is defined without defining a Workday Pattern for that shift. 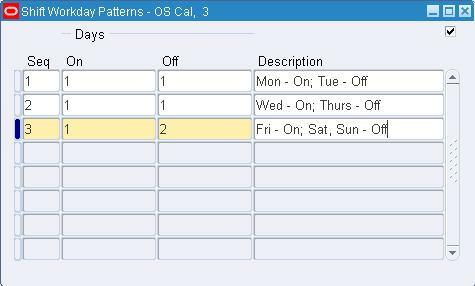 Not a problem, for Oracle assumes the shift will apply to a usual 5 day week, as the message shows. However, there is a shift at OSS that does not run on all 5 weekdays. The Late Night Shift runs only on Mondays, Wednesdays and Fridays. So, the consultants realize that this shift needs a different workday pattern. Doing so ensures that the Late Night Shift gets scheduled to run only on Mondays, Wednesdays and Fridays as shown in the calendar below. The OSS consultants are now ready to load the Exception template they have created for OSS. 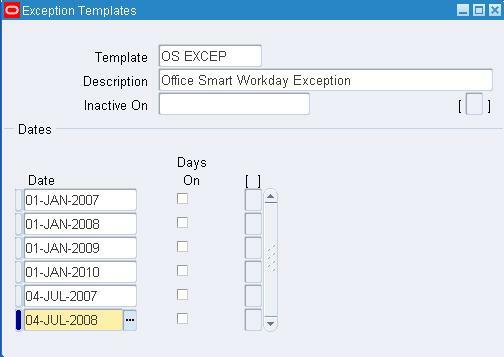 This ensures that the days marked as non-workdays in the exception template are set as “Day Off” in the OSS workday Calendar. Anytime changes are made to the workday calendar including when it is set up the first time, a process called “Build Workday Calendar” needs to be launched. Once this process completes successfully, the inventory organization calendar for OSS becomes operational.